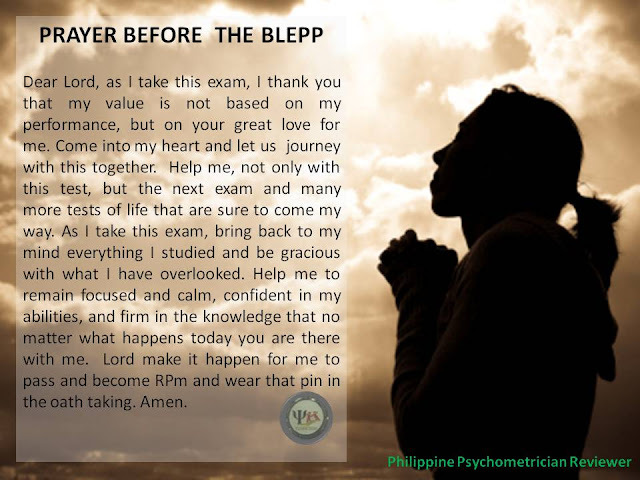 Dear Lord, as I take this exam, I thank you that my value is not based on my performance, but on your great love for me. Come into my heart and let us journey with this together. Help me, not only with this test, but the next exam and many more tests of life that are sure to come my way. As I take this exam, bring back to my mind everything I studied and be gracious with what I have overlooked. Help me to remain focused and calm, confident in my abilities, and firm in the knowledge that no matter what happens today you are there with me. Lord make it happen for me to pass and become RPm and wear that pin in the oath taking. Amen. O wise God, I pray that my mind might be rested, my body energized, and my spirit inspired for the exam I must write. Grant me peace and assurance so that I might do the best I am able, regardless of what that might be. Be with my fellow students and may I be a good example to them, offering reassurance and confidence regardless of how I feel. May I be honest and insightful, and able to give a true record of what I have learned. In the end, may any disappointment be born with grace, and any joy accompanied with humility. 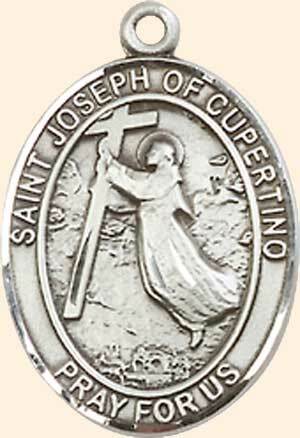 I write this exam with Thee, O Lord Jesus Christ. Amen. Be with my fellow students that I might be a good example to them of faithfulness, offering reassurance and confidence regardless of how I feel. May I be honest and insightful, able to give a true record of what I have learned this past term. In the end, may any disappointment be born with grace and any joy accompanied with humility. I write this examination with Thee, O God. Amen. Whether I have an exam or not, incline my ear to Thy word, and open my eyes to Thy presence. It is so easy to forget that Thou art with us. Direct my energy to the accomplishment of Thy will for me, allowing my spirit to detect the direction in which I might best be Thy disciple. Today I find myself immersed in words, sentences, symbols and equations – whatever language which my subject uses. May they speak clearly and with distinction. May my desk be an altar where I may lay down my life through my efforts, and dedicate it all to Thee by quickening my knowledge for Thy will to be done. Amen. 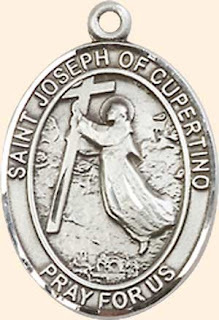 Prayer to St. Joseph of Cupertino for success in Examinations.